I feel like this hasn't been a great month for me and my TVK box which started off by me seeing loads of spoilers on Twitter before my box had arrived - don't you just hate that!? It does kind of ruin the surprise and unfortunately it's one of those things where once you see the photo you just have to have a look. Still, from the photos that I did see it looked like another great box so I was excited to receive mine. When it did finally arrive I was so impressed by the contents and they all looked like amazing products. But I think this month I learnt that looks can indeed be deceiving! My reviews are always honest and 100% my own opinions and sadly this month they're not very positive ones. From having a look on Twitter I can see that this month has saw some mixed reactions to TVK23 and some items I have really disliked others have found to be ok. So ultimately it really does come down to personal opinion and tastes. So what did we receive and what did I think? No word of a lie, after one taste these they went straight into the bin! There's no other word for these other than weird. Crunchy coconut flakes which are flavoured with smokey paprika sound much better than they were. It wasn't a pleasant experience! To be sure I had my husband taste one too and he pretty much spat it out. I would have to go as far as to say that for me personally this has been my worst product so far received by TVK. These crispy fruit snacks really reminded me of the dry and powdery fruit you get within cereals like Special K. They were ok but personally I wouldn't choose to want to snack on these on their own. I guess if you enjoy your cereals then they would make a good topper but aside from that I wouldn't have any use for them. Maybe it's just me but if I wanted a healthy fruit snack I would get much more enjoyment from eating a piece of fruit so this isn't a product I would buy again. For me this was the best snack product in this months box and it tasted pretty good and chocolatey which I love. If I saw this in the shops I would probably buy it again and i'm pleased to have been introduced to this brand. This was the by far the best product in this months box. I love Faith in Nature products anyway and already buy them and it just so happens that the coconut range is my favourite. So it's fair to say that I was more than happy to see this included in this months box. Part of me feels like it wasn't that long ago we received a coconut Faith in Nature product but i'm certainly not going to complain. But it is nice sometimes to be introduced to new brands and products. Out of all the products this was the one I was most excited to try as it looked divine! However, because of its amazing appearance, I think this is the product I was most let down by. It just looked so chocolatey, moist and delicious but when I bit into it it ended up being very bland and dry which I wasn't expecting at all. After one mouthful I didn't want to try anymore which was kind of amusing as prior to tasting it me and my husband had been almost fighting over it! I just found this to be very disappointing but I have seen tweets which indicate others have enjoyed it so maybe it's just me!? When I read that it was paleo and free from dairy, gluten, wheat, egg, soy, corn and only contains natural sugars maybe I wasn't as surprised that it didn't taste that great. Im sure for those who do live by the paleo and gluten free diets that this was probably a great treat for them but personally I am just here for the Vegan goodies and that's why I signed up to the box. And I know Vegan goodies can taste much better than this! I saved my popcorn until last because I knew that this was a product I couldn't be disappointed with as how hard can it be to get popcorn wrong? Well I was in for a surprise because this just so happened to be the most tasteless popcorn i've ever tried! Also, and very weirdly, my packet seemed to include wet pieces of popcorn. I thought that maybe I was going crazy but after chatting to a couple of others online we all agreed that the popcorn tasted wet in places. So bizarre! There is no way that I would choose to buy this popcorn again when there are other great Vegan friendly brands such as Propercorn and Tyrells out there. Finally, the iced green tea. I have never been a fan of iced tea, especially over a nice hot cup of tea. So even before I tried this I knew it probably wasn't going to be for me. And I was right. Sadly the taste just isn't for me but I don't doubt that this is a great product for those who enjoy it. The total value of this months box is £13.87 and I paid £13.15 inc. delivery to receive it. So on the whole, and if you enjoy the products, the box is good value for money. However, if you have an experience like I have done you do feel like you've thrown some money away as I probably would have never bought these products, aside from the shampoo of course. So as you can see this wasn't a great TVK month for me and I feel sad because it is the first negative review I have had to write. But one bad box out of 12 isn't so bad I guess and it doesn't change my love for this Vegan company. What did you think of this months box? I'd love to hear, especially your thoughts on that wet popcorn and the disappointing brownie. Here's to hoping that next month is a better and more tasty box! I feel as though I am possibly one of the only people who never made rice crispy cakes as a child and, despite them being ridiculously easy, i've never made them in adulthood either. They are however a little treat that I really love when someone else presents me with one! So last weekend I decided the time had come to try and make my own Vegan version. I did a little reading up on Google and pretty soon I got the general gist of things and I really was amazed by how little ingredients I needed and how quick and easy these cakes are to make. Add the chocolate, butter and golden syrup to a bowl and melt in short bursts in the microwave, taking out and stirring until you have a good melted down consistency. Mix the rice crispies into the chocolate mix and spoon into cupcake cakes. Try not to eat all the cakes! It really is as simple as that. And I have to say that these really did taste moreishly good! I increased my quantities a bit as I was making a batch to take to a gathering of friends and I think these kind of quick and easy 'no bakes' are perfect for those occasions where you're getting together with people and need a Vegan friendly treat to hand. Enjoy! I'm nearly coming up for my one year Vegan anniversary, or 'Veganniversary' as I refer to it, and I thought it would be nice to share with you all three of my favourite Vegan fridge essentials which have now become regular items on our shopping list. When deciding to go Vegan it does take time to find food alternatives that you really like and thats why I always say to people that going Vegan is a transition. I don't believe it's something you can really achieve over night and I didn't find it as easy as giving up meat when I decided to go veggie. I don't know about you but I should imagine that just like me you were bought up in a family where your fridge without doubt contained some basic staple items such as a pint of cows milk, a slab of cheddar cheese, some eggs and a tub of butter or margarine. These are all items that we are bought up to believe are essential to our diets and until last year I would often say things along the lines of 'dairy doesn't hurt anyone' and 'no one dies to produce it so i'm not too fussed about giving it up'. And boy how wrong was I!? This blog post isn't about informing you of the horrors of dairy industry and I think, if you're interested, this is perhaps something you need to educate yourselves on by reading up or watching documentaries such as Vegetated on Netflix. But I can't write a post like this without saying that a huge and terrible amount of cruelty is involved within this industry and I was ultimately shocked when I learnt for myself. It made being Vegetarian suddenly seem pointless and personally there was no going back for me. Available in every large supermarket now, Apro Soya Light Milk has quickly become our favourite replacement for cows milk. We originally tried the standard Alpro Soya Milk but found it way too sweet for our liking so we swapped it for this one. Personally for me this is the best milk replacement which has the nearest likening to cows milk. We have also found that this one works the best for us in our cups of tea. There are literally SO many milk alternatives now in the shops which is great to see but it can feel a little overwhelming when originally trying to find one that you like. I'm also a big fan of almond milk and coconut milk but they are not ones that I buy every week. To be honest, even before going Vegan, I have never been massively into milk and have always had the smallest amount. Since going Vegan I think I now tend to drink more teas without milk such a green tea or early grey. I also don't tend to eat cereals or many foods that require milk so I think I could actually survive without it anyway. I absolutely love the Pure brand of spreads which also include soya and olive. I have tried them all over the past year and sometimes alternate which ones I buy but ultimately the sunflower spread is my favourite and again offers the best like for like replacement in my opinion. Pure is also now available in all the big chain supermarkets so you really don't have to go far to get it! I have to say that since giving up cheese it's really not something that I struggle with. I never crave it anymore or really miss it. I think when you go Vegan and get through those initial weeks without cheese you actually then start to forget about it and in fact I now feel as though my body repels it. On the odd occasion where i've had cheese since, and purely because theres been no veggie choices without it whilst being out, it has really upset my stomach and even thinking about it now almost gives me a tummy ache! Cheese isn't exactly the most healthiest of foods anyway and it's not something you should really eat all the time. All of that being said, I was still curious to try out some Vegan cheeses whilst on my transition and out of all of them I think Violife is my favourite. I more so buy this for my husband than myself as he is more veggie than Vegan and still misses cheese a lot. One packet of Violife will usually last us a month! As far as eggs go they are not even on my replacement list as they gross me out so much now I can't even believe I ever used to love them or eat them. But if you are looking for an egg replacement then I can recommend trying a scrambled tofu recipe as this really does provide a very like for like alternative. So much so that when my husband made some for me I couldn't really eat it all as it really did remind me of eggs too much. Ultimately everything comes down to personal preference and although I recommend these products there's nothing to say that you will like them as much as I do. Going Vegan is a personal journey and a transition so it really does take time to discover your own favourite foods and alternatives. But if you are thinking about going Vegan and are not sure where to start I would recommend giving these a go to start with. 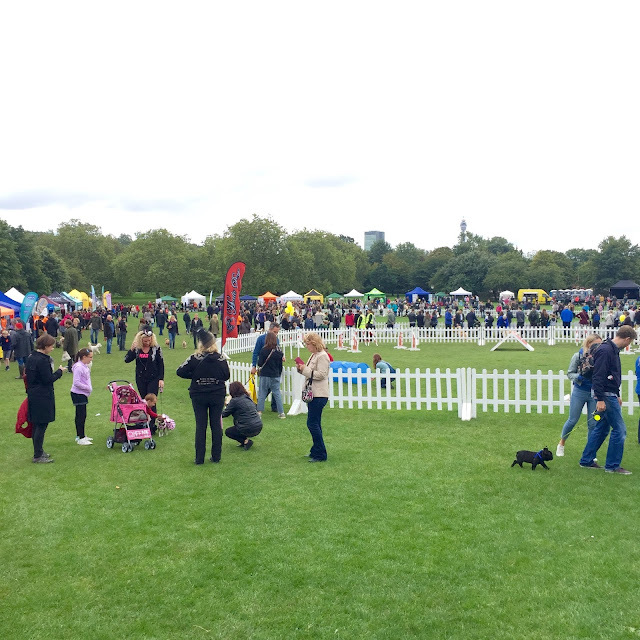 Last Saturday was the amazing Pup Aid 2015 Fun Dog Show, a date that has been in my diary all year! After watching many horrendous documentaries and news stories over the past year about the horrors of puppy farming this has become a cause close to my heart. As a huge dog lover myself, nothing upsets me more than the mistreatment of these incredibly loving companions. You will only have to do a little search online to see the absolutely disgusting conditions within puppy farms and the sorry little existence that these dogs lead kept locked up in filthy cages alone and uncared about. Pup Aid are doing an incredible job of raising awareness about puppy farms whilst also campaigning for this cruel industry to end and I, along with many others, really wanted to go along on Saturday to show my support for this wonderful cause. It was also a great excuse for a doggie day out with my two boys and a trip to Primrose Hill, which if you've never been before is really lovely for dog walks and mooching around lots of cute shops & cafes. So we packed the dogs up in the car and set off to London for the day! There were lots of dog show classes on at the event and I really wanted to enter my little Zen in for the most handsome dog category but sadly he can be a little temperamental when people approach him and far too excitable around other dogs so I didn't feel it would have been appropriate but I'm sure he would have won anyway :-) Other fun categories for the day included 'Dog That Most Looks Like A Celebrity', 'Best Rescue', 'Waggiest Tail' and 'Most Stylish Pooch of London'. Once we made it to the main show area it was amazing to see how many people had turned up, despite the unpredictable weather, and there were just so many cute dogs everywhere! If you're a dog lover this is definitely the show for you. 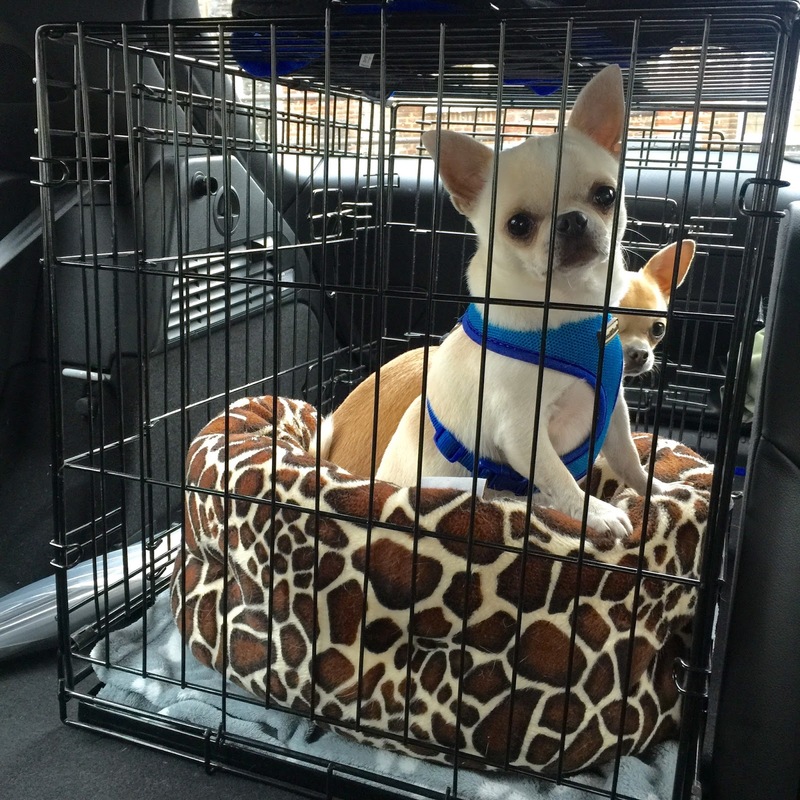 I spent a lot of time cooing over other peoples dogs whilst trying to control the excitement of my two! I don't think we have ever been anywhere with so many other dogs so both of mine went a little crazy! 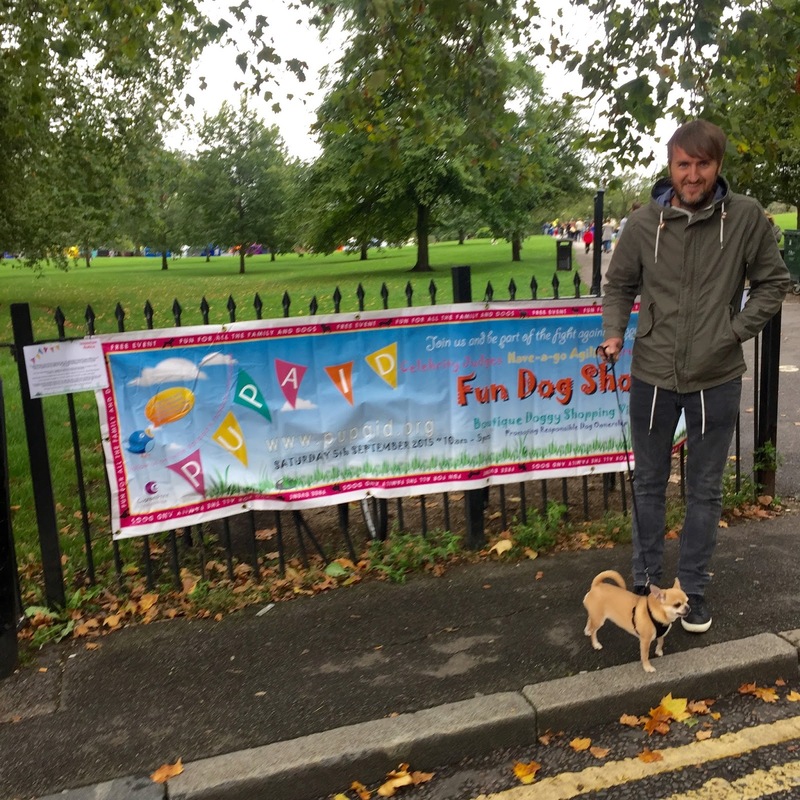 It was great to see so many charitable stalls at the event including the RSPCA, Wood Green Animal Home & Dogs Trust. 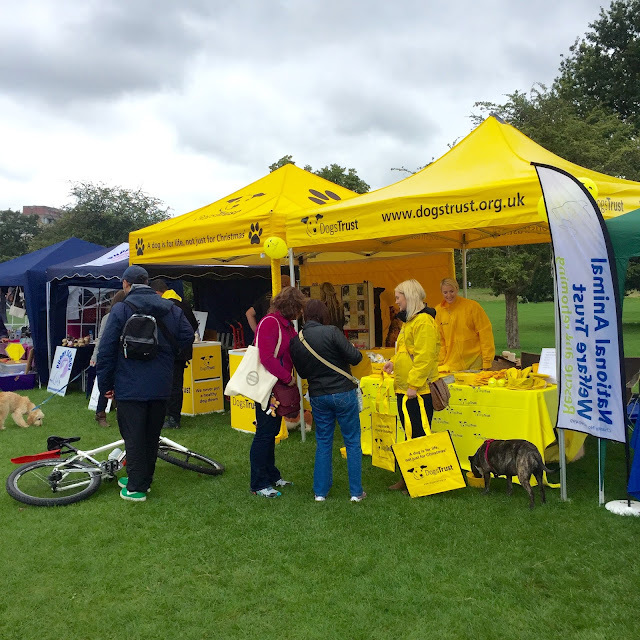 There were also many stalls selling an abundance of doggie treats, clothing and accessories. We could have spent a small fortune! This event also had a high celebrity profile with the likes of animal campaigner Peter Egan making an appearance and Meg Matthews with her daughter Anais Gallagher were also present and have played a huge part in raising awareness for Pup Aid. There were also a few TV personalities in the VIP area and some faces from TOWIE. It really is so good to see so many high profile people getting involved with an event like this and it definitely helps to get the event into the press whilst also managing to raise awareness with the general public. I was so pleased when event founder Marc Abraham announced that Pup Aid would be a purely Vegan event and I think this should be the case with any animal related event. We were also pretty excited to have a look around at the food stalls to see what we fancied trying. 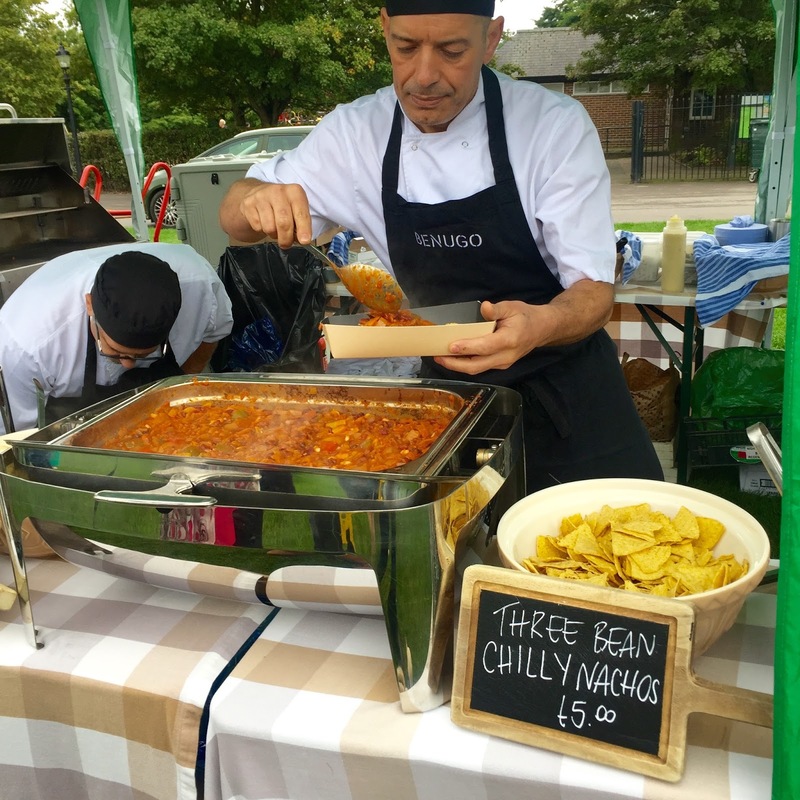 We couldn't resist going in for some of these chilli nachos which were delicious! 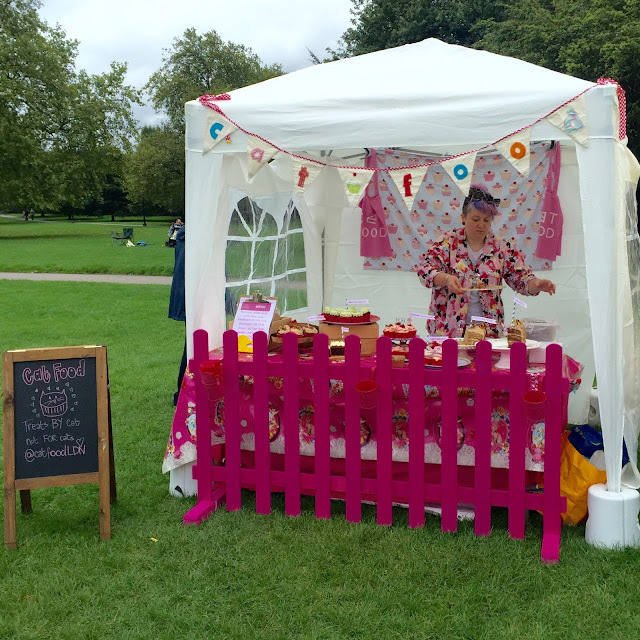 I also loved the Vegan cake stand by Cat Food and there was no way that we could go home without one of her stunning cupcakes. She had also made some really lovely dog treats which she kindly gave to our two boys. It was really interesting finding out more about some new dog related businesses and products. When Pooch Pal offered us a family photo at their stand we jumped at the chance! I love the sound of this new business which is basically like a social network for dogs and their owners which helps your dogs to find new friends and play mates in your area. After all the fun of the show we decided to have a walk across the field and let the dogs off the lead for some play time with other dogs. It was such a lovely atmosphere having so many dog lovers all in one place and seeing lots of dogs playing together. 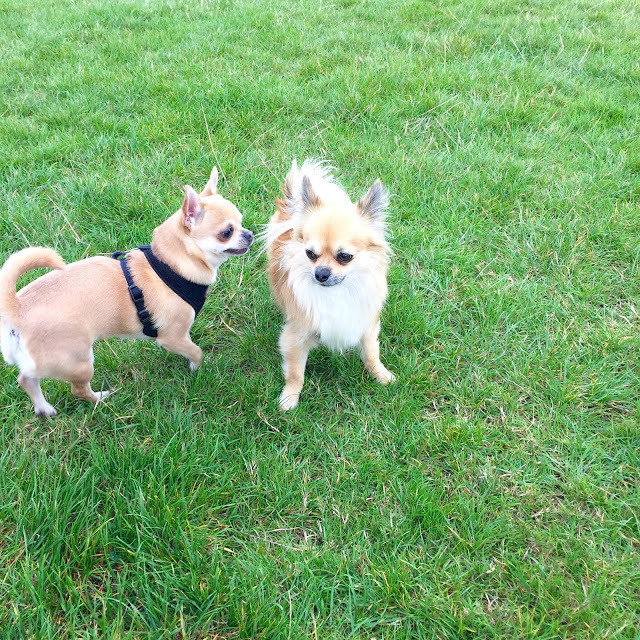 We met this very cute long haired Chihuahua called 'Hunter' who Zen pretty much fell in love with straight away! Chihuahuas are so addictive and I would really love a long haired one but I think two dogs is our limit for the moment. We really love Primrose Hill so we took the dogs for a little stroll around the area and made a pit stop at a pub for a drink. We really wanted to get some lunch here too but the Vegan options were very limited so we made our way back to the high street where we saw a falafel street food stall. Mr K said this was the best falafel wrap he'd ever had and I think he was right! It was so yummy! So if you're ever in the area be sure to grab one of these. Once we got home it was time to put our feet up with a cuppa and one of the pretty party ring Vegan cupcakes we'd picked up at the show. We were trying to be well behaved by only buying one cupcake to share but we could have easily have eaten a few of these that evening! And if you didn't already know, party rings are indeed Vegan friendly. I'm so glad that we made the journey down to London on Saturday and supported the Pup Aid event. It was a perfect Saturday spending time with my man, my dogs and meeting lots of other lovely pooches and their owners. If you didn't make it to this Pup Aid then be sure to keep an eye out for the next one! Last week the lovely fellow blogger Vicki Maitland tagged me in her Bunny Friendly Beauty post which, after reading through her blog post, sounded like a lot of fun and something I wanted to take part in. I have to admit that I am not always great at responding to these blog tags so apologies if you have sent me one in the past which I haven't yet got around to doing and please remind me again. It can sometimes throw me when I get one of these, especially if I already have blog posts planned and a to do list up to my eye balls! But I do actually really love to read posts like this and find out more about my blogger friends. Vicki's post and questions are all related to finding out more about my journey into a cruelty free lifestyle so I hope you enjoy reading my answers! I think I really started to care about the importance of leading a fully cruelty free lifestyle when I first decided that I would go Vegan a year ago. Prior to that I was veggie and still did care about animals a great deal but going Vegan for me meant a complete change of so many aspects of my lifestyle and the products which I was using. That was when I began to replace all my products with cruelty free alternatives. 100% my love for animals! I am a pet owner with 2 dogs and 2 cats and my love for them has made me question so much. I would be absolutely devastated if any harm ever came to them but I think at times it can be easy for people to turn a blind eye to what happens to other animals i.e within animal testing for cosmetics and beauty products. I'm pretty sure that most people who are 'animal lovers' would be appalled if they were to see the cruelty in person but I guess it's not at the forefront of their minds when they're buying their favourite products and sadly that side of the industry is pretty well hidden from the public eye. Ultimately I know I could never cause harm to an animal so therefore I don't want to support any brand that does. Definitely my foundation. 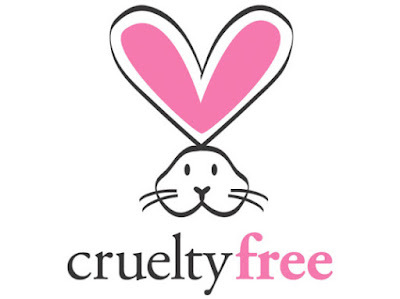 Prior going cruelty free I used to use MAC Cosmetics and had done for several years. I was super happy with my MAC foundation and always used to receive compliments about it so I was actually pretty worried about having to turn my back on MAC. I have tried quite a few foundations now and none seem to be really hitting the spot for me. The best I have come across so far is by ELF Cosmetics but since their UK store has closed I am still on the look out for a really great foundation. But despite this I would never go back to MAC because they do unfortunately test their products on animals. Hmmm.... there's been so many! But I would say more recently my favourite has been Eden Perfumes who create Vegan and cruelty free perfumes which match designer brand fragrances. I purchased an Armani Si equivalent a little while ago and I always get people asking what perfume I am wearing which is a great sign of a high quality scent. I would have to say MAC cosmetics as they did used to be my favourite make up brand. Although I definitely don't miss spending so much of my money on make up as I used to! But for me for a product to be 100% cruelty free it also has to be Vegan so in order for me to make a purchase they would have to fulfil both criteria. It has to be Superdrug. I absolutely love Superdrug for all my cruelty free essentials such as toothpaste, hairspray, wipes.....the list is endless. 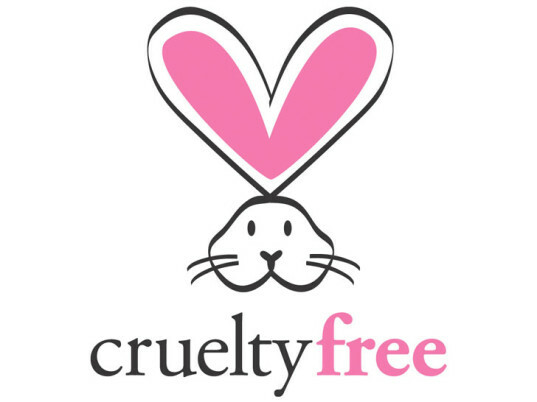 It is my go to place for affordable cruelty free cosmetics and the fact that the majority of their own branded products are also Vegan friendly makes it even more so appealing. A little while ago at a market I came across a small brand called NI-KA Deluxe who made some really lovely handmade beauty products which are all cruelty free. I purchased a lovely pot of fizzing bath grains which I loved. However, some of their products do contain beeswax so not all of them are Vegan friendly. I have kind of already answered this but yes I am! I went Vegan a year ago and it has been a real transition and not something I achieved overnight. It's been quite a long process of finding foods that I know I like and replacements for dairy products. That being said it's been much easier than I ever imagined. When I was veggie I used to say that I could never go Vegan purely because of cheese really but now that I have cut that out of my diet I don't miss it at all. And I feel so much better now morally that I am no longer contributing towards the cruelty of the dairy industry which was quite shocking to me when I first learnt about it. I never thought dairy products harmed any animals but how wrong was I! As soon as I found out all the horrors of this industry it literally put me off the food anyway so there was no going back. The only thing I really struggle with now is chocolate as it's my go to comfort food and personally I'm not a huge fan of dark chocolate which makes it more of a challenge. There are a few Vegan chocolate brands which I really like but I just have to be organised and order them in as no shops where I live tend to stock anything like that. Unfortunately Essex is not swamped with choice for when it comes to eating Vegan and I envy everyone who lives in cities such as London, Brighton and Bristol. However, that being said, we do still have a really good select few places which serve purely veggie & Vegan meals. My favourite of the moment would have to be The Oak Tree in Leigh on Sea. I've only been there once but had such an amazing meal I am dying to go back again. It's also my chosen venue for my upcoming Vegan Essex Social event which I am hosting in October. I reviewed this restaurant not so long ago on my blog so you can find out here why I loved it so much! Could you torture a rabbit with your bare hands? No? Well stop funding experiments like this to take place! It's so simple - you could just shop Superdrug's own brand and help to end this cruelty! I can also introduce you to plenty of bloggers who can recommend SO many wonderful alternative products for you to use. It's not difficult, just make the small change which will help to save little lives! The last Vegan Tuck Box I tried was their Easter special one back in March of this year. I was so impressed with the Easter box that I have ever since been meaning to try out one their regular monthly subscription boxes. However, if you read my blog you will know that I am already signed up to a few boxes and literally can't justify signing up to anymore! I have been considering perhaps substituting one of my other regular boxes in place for a new one, just to mix things up a little, and I am still considering doing this. The only trouble is once you sign up to one they're so damn hard to give up! Not only do I already love the subscription boxes that I receive but I just know that I will get a serious case of FOMO (fear of missing out) if I end a subscription and then see everyone's photos of said box going up on Instagram. It sure is a dilemma! I decided to get in touch with the lovely people at Vegan Tuck Box and share this conundrum with them. I wanted to trial run a Vegan Tuck Box before fully committing to a subscription and they kindly agreed to send me their July box AND a 20% discount code for my blog readers. To take advantage of this just enter 'blog20' at the checkout to receive 20% off your first box! If you didn't already know Vegan Tuck Box was the first Vegan box scheme to start up in the UK. Not only do they offer a subscription service on their boxes but they also sell individual and gift boxes too. As mentioned earlier, my first box was an Easter special and if you're not up for subscribing it's really worth keeping an eye out on their website during the holiday seasons as they make excellent special boxes which are great as presents for others, or just for yourself! One of the things that I personally love about Vegan Tuck Box is that they also give you the choice of the size of the box you want to receive. Their classic box normally contains 10-12 items and their mini box has around 5-6. So there is something to suit different budgets and needs for treats! Every box contains 100% Vegan products with there being different products every month and gluten free options available too. When my classic July box arrived I was a little shocked and impressed by just how much it contained. Inside the box were 11 great sized Vegan products, most of which I had never tried before. I also really liked how there was a mix of products from chocolatey treats, sweets, health foods and savoury goodies. There was a really good variety which I couldn't wait to tuck into! I have to say that both me and my husband have really enjoyed making our way through this box over the past few weeks! Im not going to say I loved everything because I didn't and that would be fibbing, but there were some amazing stand out products for me which I have highlighted with an * above. Items I wasn't so keen on included the roasted chestnuts which to be honest I found really gross and they went straight in the bin! I also wasn't a fan of the soy jerky but my husband on the other hand really liked this. So I guess ultimately it does just come down to personal preference and one thing I hate might be loved by another. For £17 a month + £3 postage you can subscribe to a box of this size, or if you wanted to buy a one off individual classic box it would be £19 +pp. This is a great sized box and, if I didn't subscribe to any other boxes at the moment, this would be something I wouldn't even question signing myself up to. Just like my other regular subscription box from The Vegan Kind, Vegan Tuck box also donate money to an animal charity with 20p from every box sold going to Hillside Animal Sanctuary. I do love how schemes such as these support different charities and it's a fantastic way of helping to contribute towards a good cause whilst also treating yourself. If you're still unsure about signing up to a box I would highly recommend having a look around the Vegan Tuck Box website as, aside from their boxes, they also offer individual Vegan items within their online shop. I hadn't even thought to look here to buy things such as Vegan chocolate or savoury treats but they actually have a really great selection of some of my favourites so this is a great one stop shop. I'm now off to mentally weigh up all my subscription boxes! Who knew that there would be just so much choice when being Vegan? In fact most people tend to think the opposite and that it's a really limited lifestyle to lead. Well how wrong are they! I'd love to hear from you and what Vegan subscription boxes you all subscribe to so please do comment below and share your thoughts and recommendations.